The print is always produced first, and then I adapt the print into the sculpture. I have printed this block as a 3-layer reduction wood cut and also as a 1-layer run. This relief print illustrates a fearless girl lassoing a giant rattlesnake and cobra in a desert environment. She is overcoming her ophidiophobia. Not only does she represent myself, but a majority of individuals who share the same fear. I always stain my wood block with either diluted acrylic paints or India ink so I know what cuts I have made. 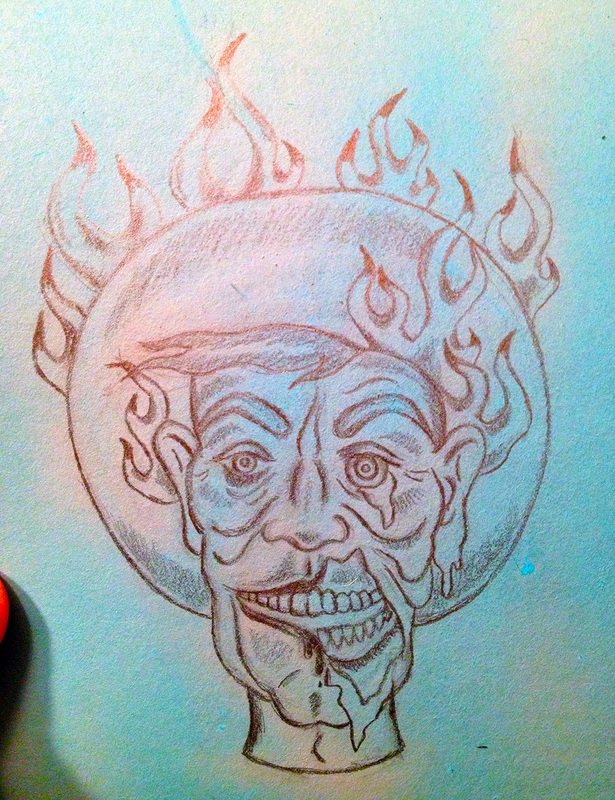 Then I draw out my image with pencil & re-outline the drawing with a fine-tip sharpie. Make sure your sharpie is completely dried before spraying your Shellac, or else your sharpie will bleed & you will loose your detail. Also remember that what you draw will be the mirrored image when you print it. Here I used MDF wood, it is softer & more easy to control. A 3-layer reduction wood cut. 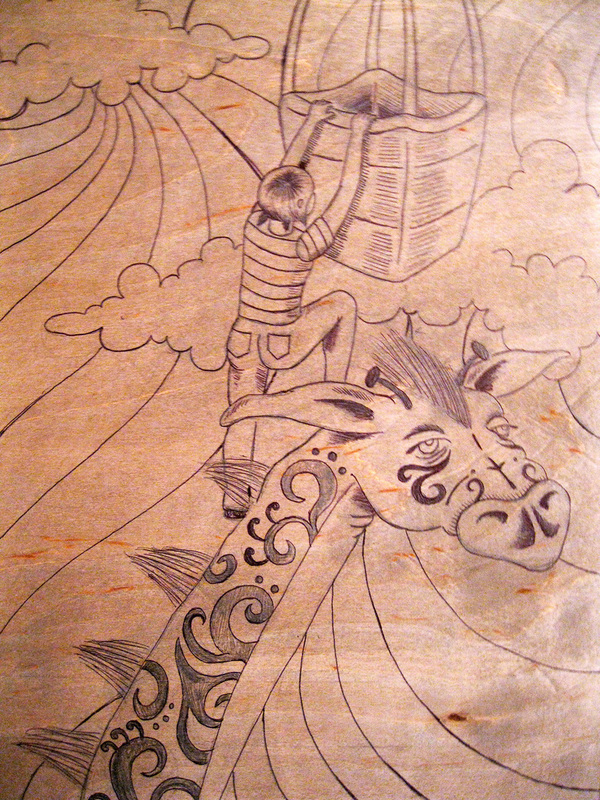 This animated (framed) relief print illustrates a girl tattooing a kangaroo. It portrays overcoming the fear of being different & standing out of a crowd. It represents being unique from a mass population. A 3-layer reduction birch wood cut. 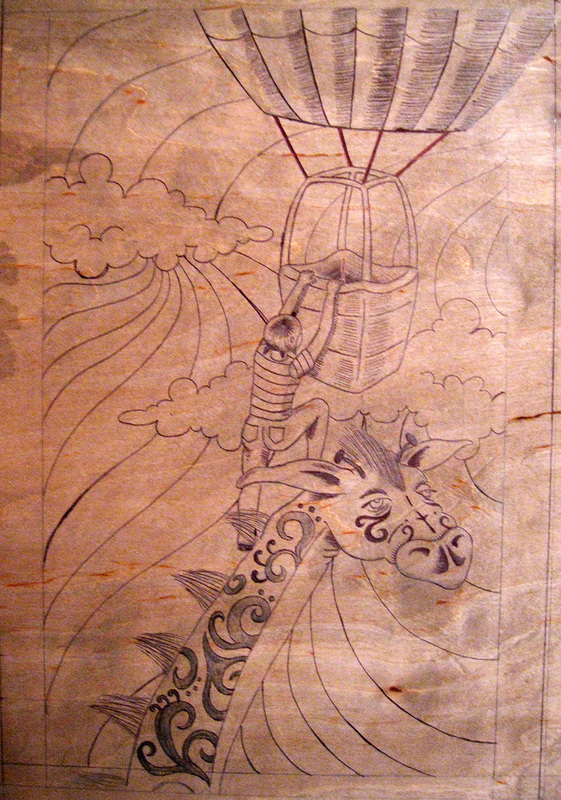 This relief print illustrates a girl climbing a nonchalant giraffe, whom "boosts" her into an air balloon. She is overcoming her acrophobia. This is a 1-run color MDF wood block. 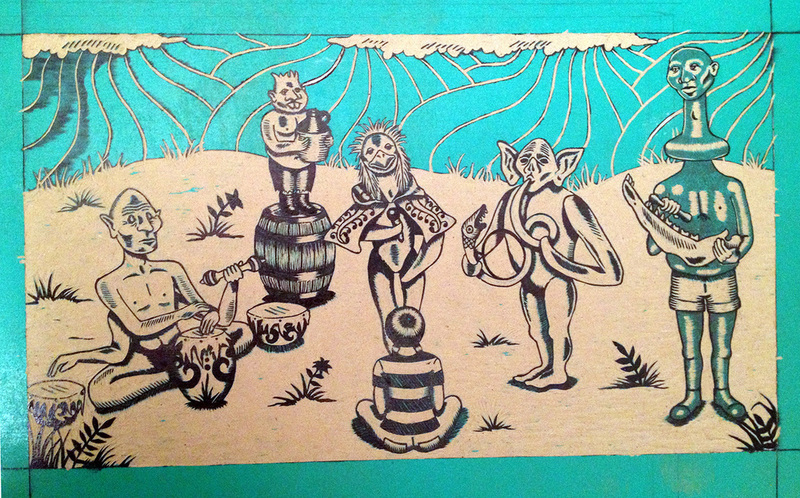 I illustrated a few of the 3-dimensional "Freak Show" members & formed them into a versatile band. This print was included in a Mexican Student Print Exchange. A small linoleum cut of "Texas State Fair's Big Tex." On October 19, 2012, the statue "Big Tex" caught flame & burned (by electrical fire) in front of hundreds of fair-goers at Fair Park in Dallas, TX. So I thought I would illustrate an animated version of his face to commemorate him. R.I.P. Big Tex! 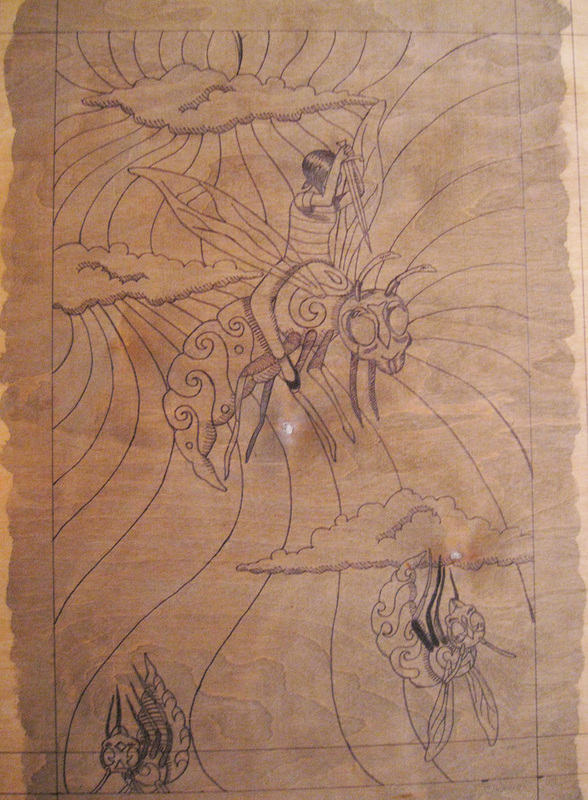 A 3-layer reduction wood cut. This animated relief print illustrates a girl helping her walrus friend who is stuck b/t two hill formations. It portrays overcoming the fear of being stuck or stranded by having a helping hand or friend. It could even ambiguously portray conquering claustrophobia.